Listing courtesy of Eileen Morelli, Keller Williams Realty. Enter through security gates to this 2.53 Acre hilltop Estate w/unparalleled, exquisite & ever-changing Sunrise & Sunset Views. Totally remodeled 4351 sf Main House w/the highest quality & attention to detail. Separate Detached Unit w/spacious office, art studio & bath. A pool set among English Gardens, covered lanais, columned sitting areas, lawns, fruit trees & color in all seasons. LOCATION – So Private yet 15 Minutes to Downtown SR & Pet!! Please, send me more information on this property: MLS# 21830192 – $2,000,000 – 1978 Skye Avenue, Santa Rosa, CA 95404. 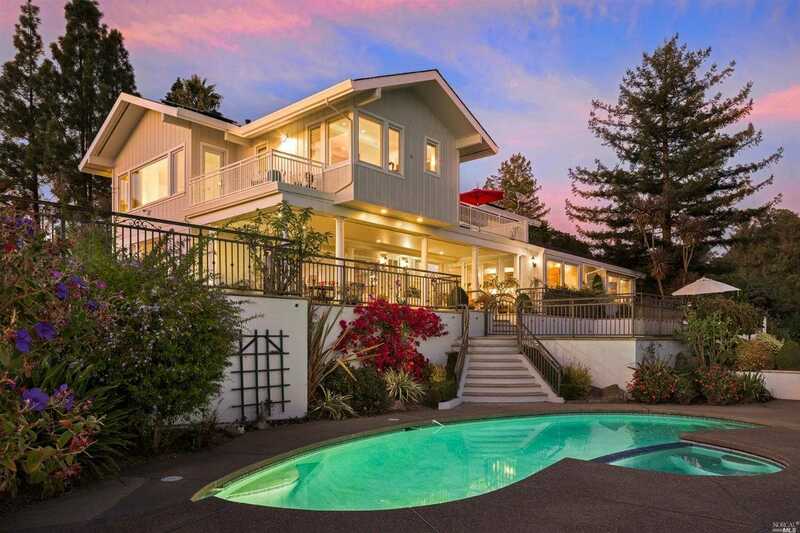 I would like to schedule a showing appointment for this property: MLS# 21830192 – $2,000,000 – 1978 Skye Avenue, Santa Rosa, CA 95404.